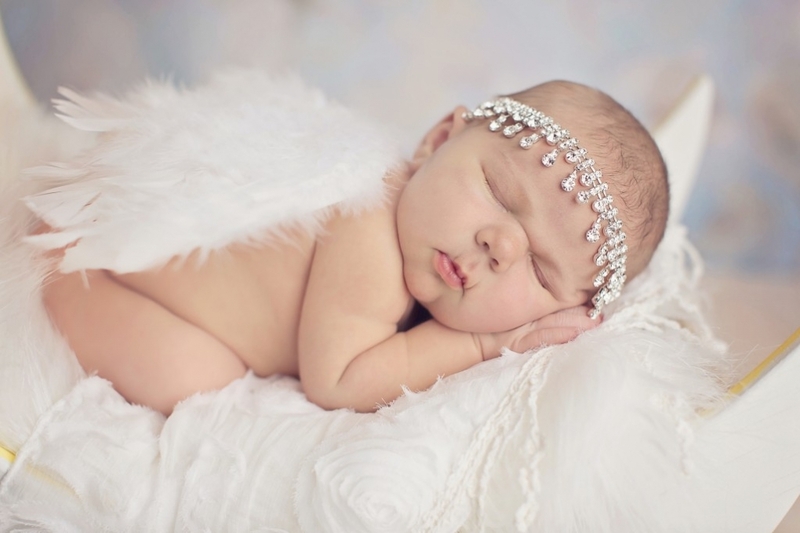 Meet this adorable and gorgeous little newborn baby girl Brooklyn. She was the perfect angel for her session and the angel wings used just suited her perfectly. 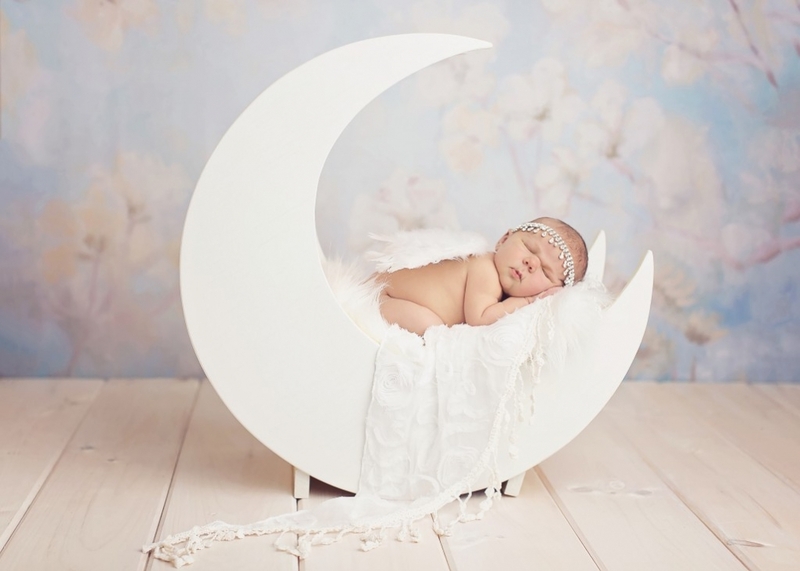 When looking for Orchard Park newborn photographers keep in mind prop selections and if you need to bring your own props or if they are provided and what your options are. I provide all props and for her session, I used a moon prop, 2 different blanket backdrops to pose her on, an antique bed, flokati rug and tons of different head pieces and wraps. The angel wings looked so cute with the white side of the moon prop. In addition to her pictures we did sibling portraits. 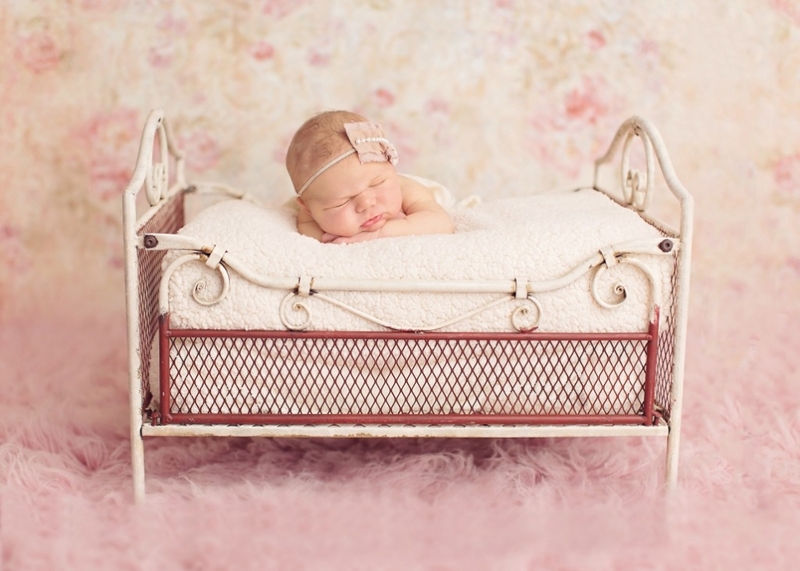 Below are a few favorites from this newborn session. She looked so adorable with her angel wings on this white new moon prop. I got this prop from PJ’s Craft Corner. They are so nice and kind to work with. PIN THIS IMAGEMom brought the angel wings for the session along with a few other adorable pieces for her daughters newborn session. PIN THIS IMAGEPink is her color, I love flokati rugs in newborn portrait sessions and the shabby chic backdrop suited this scene well. PIN THIS IMAGEShe gave me the most adorable smile for this shot and I got it. PIN THIS IMAGE PIN THIS IMAGEI just love sibling portraits with newborn portrait sessions. Her little brother was young so I did not want to try to pose them together where he is holding her up in any way. Safety is always my number one priority, these are actually composites and Daddy was standing right there to make sure both baby and toddler were safe, always. PIN THIS IMAGEThank you for checking out this newborn session, this session was featured on the Best Newborn Photographers Blog and Facebook page. We were surprised to see that as I had no idea it was featured until a friend of mine commented on it and tagged me. It’s always exciting when a magazine or blog wants to feature my work. If you are looking for an Orchard Park Newborn Photographers give us a call we do in your home sessions as well as sessions in our studio.